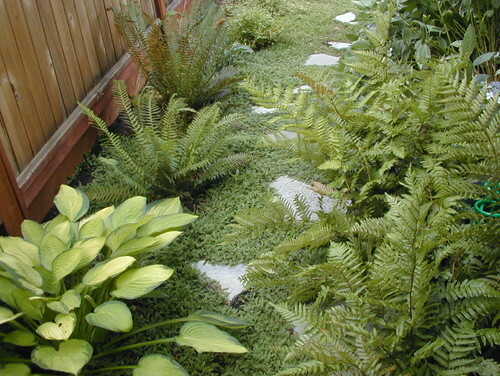 Ground covers are excellent landscape design elements. 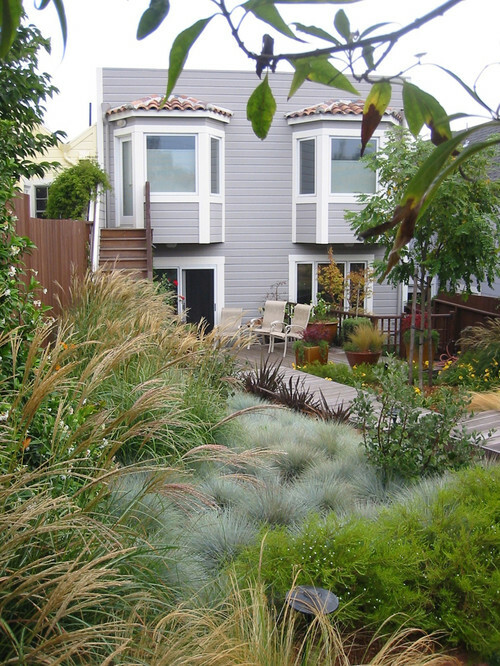 When used effectively, ground covers not only protect the ground from drought and erosion but also supplement your design scheme by supplementing additional colors, forms and texture. Growing Conditions: You can find ground covers for almost any purpose and for all spots in your landscapes. 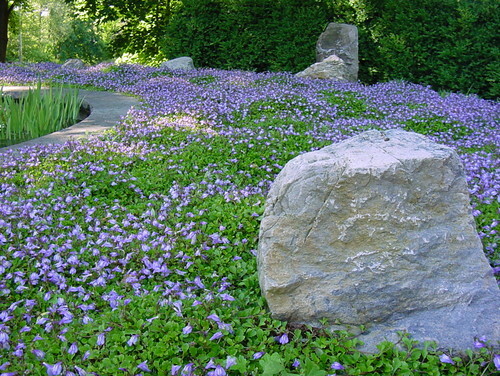 Some ground covers grow in shady spots where very few plants can survive. 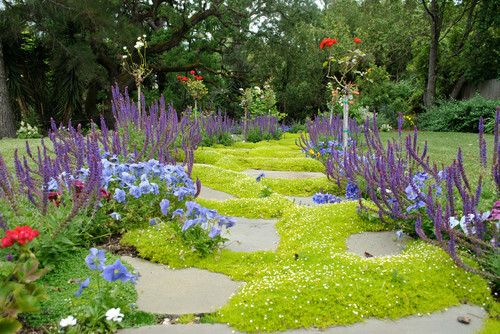 Some are drought-tolerant and they make best ground covers when you want to design low-maintenance landscapes. Formation: Ground covers have different growing habits. 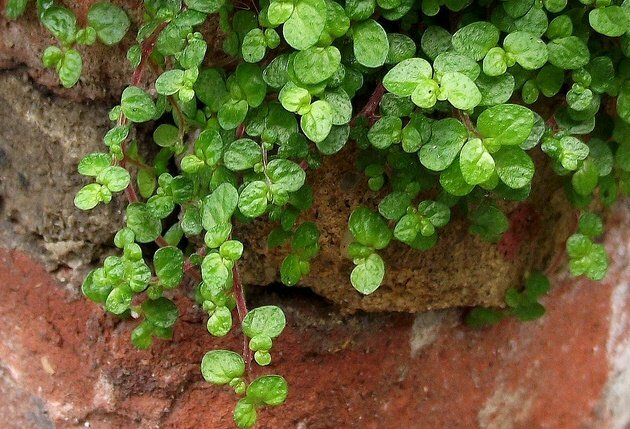 Some ground covers produce lateral branches, some form small mounds, some miniature ground covers stick to the ground whereas some develop upright branches. Color and Texture: Besides their formation and growing conditions, ground covers offer interesting colors and textures. 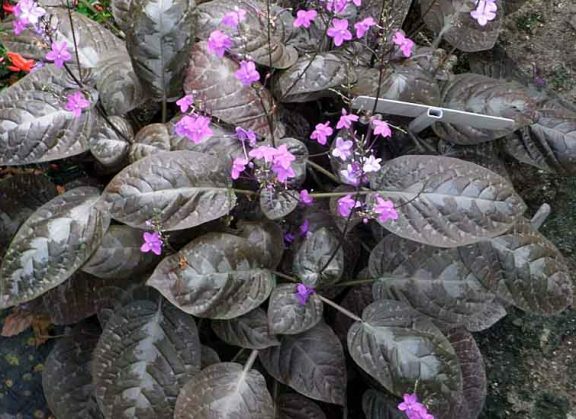 Some ground covers are evergreen and provide excellent ground coverage, some are used for their interesting colors. Depending on your landscape design, you can pick best ground covers in many different texture: soft and evergreen foliage, woody and deciduous, and so on. 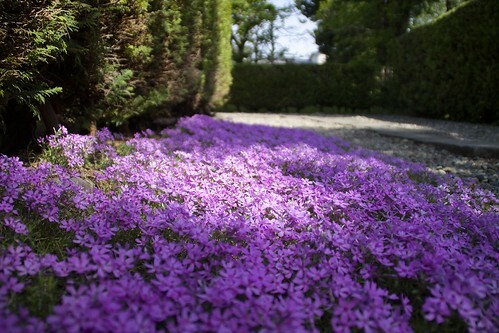 The following is a selection of the best ground covers that you can use in your landscape design. 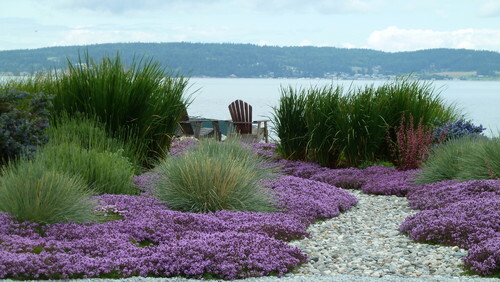 Browse these beautiful examples of best ground covers used in landscape designs. 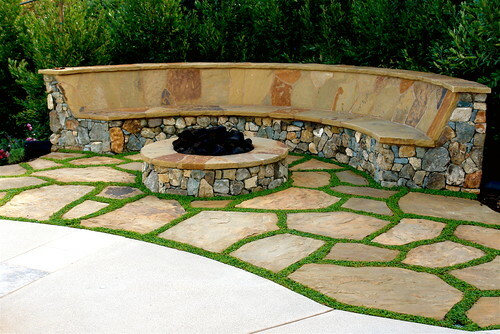 Mediterranean Landscape by San Diego Landscape Contractors DeMaria Landtech, Inc. The plant featured today is Festuca glauca – a low maintenance and lovely ornamental grass. It is a semi-evergreen grass that forms tight mounds of silver-blue foliage. 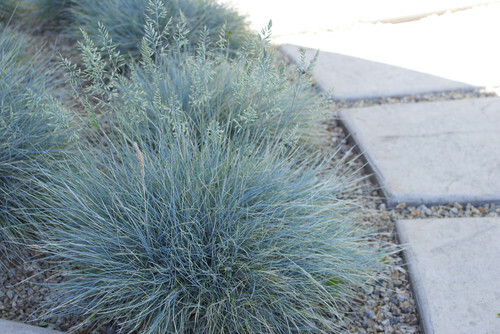 The needle-like foliage of Festuca glauca changes it colors from blue-green to silver-blue and from steel-blue to brown throughout the year. 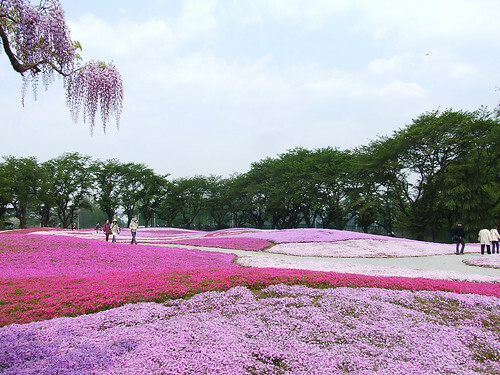 Because of unusual texture and color of its foliage, and attractive tufted shape of the plant, It has become a popular grass for gardens and landscapes. 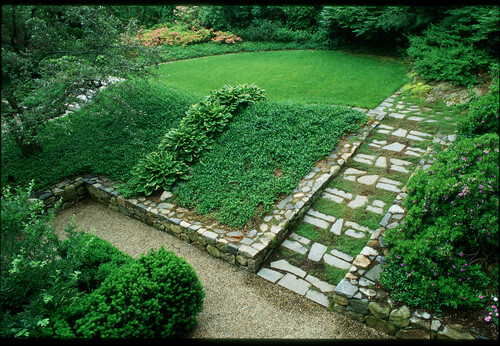 It is often mass planted in rock gardens or mixed with succulents to form beautiful landscape designs. 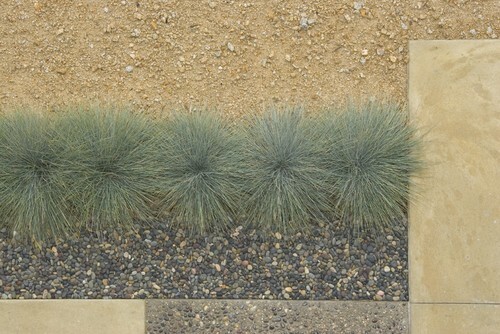 Festuca glauca can also be grown in containers, garden borders or simply as a pot plant. The ornamental value of this lovely grass is doubled by its delicate inflorescence. 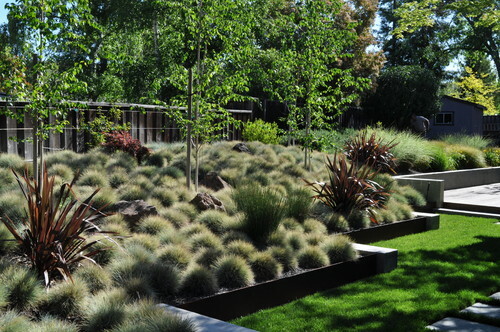 Festuca glauca requires a well-drained soil under partial sun. It has tremendous ability to survive long spells of drought. In colder climates, the foliage is usually cut back in harsh winter in order to get fresh foliage in spring. Festuca glauca can grow up to 10 inches and is easily propagated from clumps divided from the mother plant. 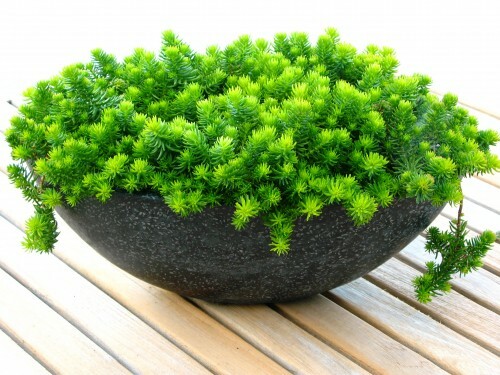 When grown in pots, it should be repotted every 3 to 4 years or transferred to ground permanently. Popular varieties of Festuca glauca include: F. glauca ‘Elijah Blue’, F. glauca ‘Blue Glow’, and F. glauca ‘Blaufuchs’. Myoporum is a small genus of evergreen shrubs and small trees from Australia and New Zealand. Because of their low maintenance growth and ability to tolerate drought, Myoporum is widely grown in arid climates as hedge plant. Most species of Myoporum produce attractive foliage, white flowers and colourful berries that add to the beauty of these smart plants. Known as tough and fast growing shrubs, Myoporums make good plants for hedges, screens, or along banks and slopes. Most species do best when provided with moderate watering and grown under full or partial sun. Myoporum parvifolium is probably the most common species. It is a low-growing plant that forms dense mounds of evergreen foliage. The plant grows up to 6 inches tall and spreads to 5 feet or more. As a low-maintenance plant, Myoporum parvifolium is often grown as a ground cover in landscapes and gardens. 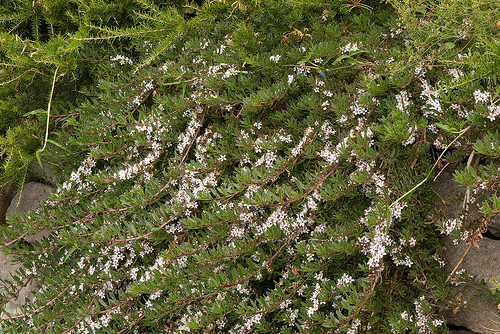 Myoporum insulare is a hardy shrub that grows up to 5 meters. 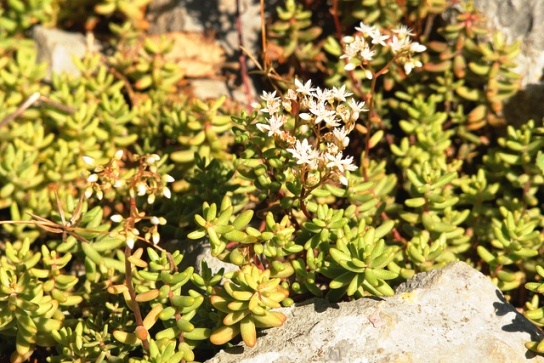 It is characterized by glossy-green leaves, tiny white flowers and purple-blue berries. Myoporum laetum is a small tree with light green leaves. The plant produces summer flowers followed by formation of red berries in autumn. Euphorbia rigida is a shrubby and evergreen, succulent from the Mediterranean climate. Known for its attractive spiral-forming foliage and ability to withstand drought, the plant makes a valuable addition to a rock garden. Commonly known as Gopher Plant, Euphorbia rigida forms clumps of upright ascending stems and grows up to 2 feet in height and 3 feet in width. 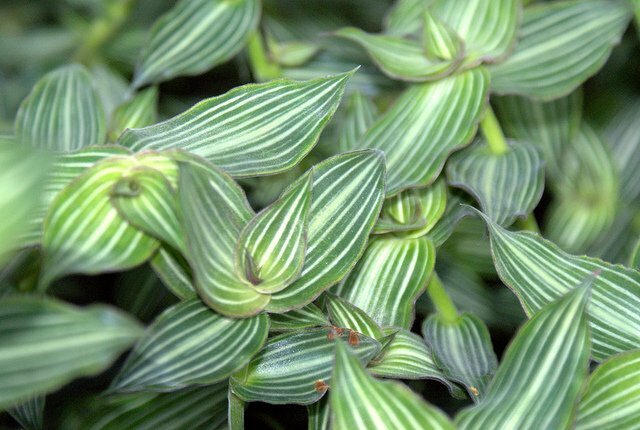 The blue-green leaves of the plant form spiral formation around its stems that make this plant very attractive. Flowers of bright yellow color appear in spring followed by formation of seed pods. Gardeners usually prune spent flowers to prevent self-seeding. The plant itself can be pruned at the end of flowering season to prevent a leggy appearance. Euphorbia rigida can be grown in raised beds, garden borders and rock gardens and as an excellent ground cover. 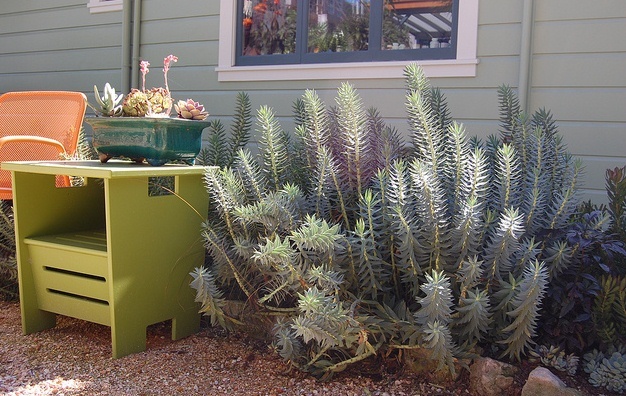 It also performs well in containers and landscaping with other drought-tolerant plants. Propagated from seeds or cuttings, Euphorbia rigida can be grown under prefer full sun to partial sun. 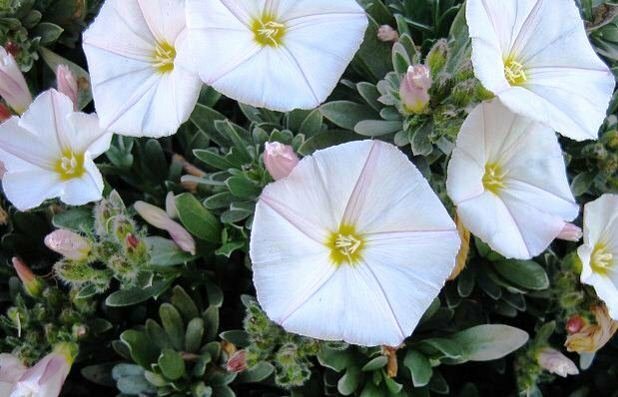 The plant usually blooms well in rather poor or sandy soil. Like other plants from Euphorbia family, the milky sap emitted by Euphorbia rigida can be toxic and may cause severe skin irritation. The lovely plant in the picture is Imperata cylindrica ‘Rubra’ – a perennial grass with beautifully colored and textured blades. 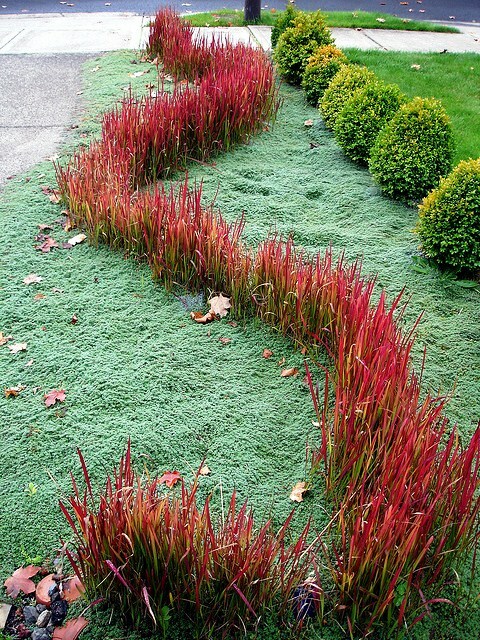 Commonly known as Japanese Bloodgrass, this ornamental grass is an excellent choice for creating dramatic effects in any garden. Imperata cylindrica ‘Rubra’ (Buy online) forms dense clumps of strappy leaves that grow up to 5 feet. 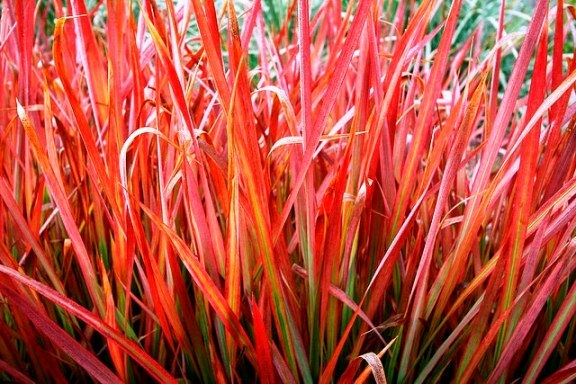 The silvery-green foliage has margin of bright red color that make it an excellent ornamental grass for gardens and landscapes. It is usually mixed borders or grown along flower beds to provide contrasting and colorful background throughout the year. Imperata cylindrica ‘Rubra’ is propagated from divisions and is grown in well-drained soil. 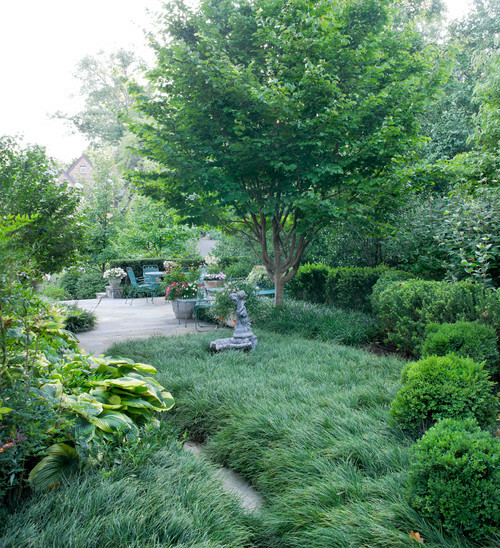 Like most ornamental grasses it should be pruned regularly to keep it in shape and under control. Without regular pruning and control it tends to become invasive and hard to weed out completely. The plant requires regular watering and good exposure to bright sunlight. In colder climates, it requires protection from heavy frost. 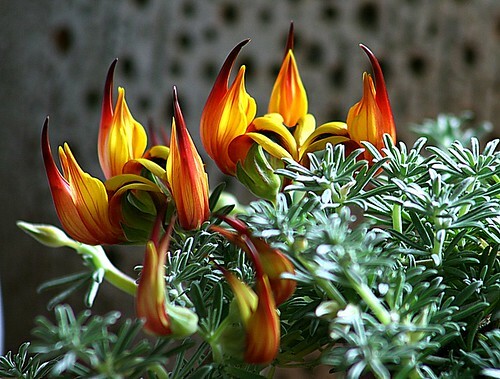 Kennedia is a small genus of small shrubs and woody climbers from tropical and subtropical climate of Australia. These useful plants are grown for their lovely and unusual flowers of red color. Kennedia originates from tropical and summer rainfall regions and thus are quite hardy to heat and spells of drought. Most species grow easily in temperate climate where they spread quickly and become good choice for covering the ground, fences or hedges. Kennedias can be grown easily from seeds. Young plants require moist yet well-drained soil, however, mature plants can withstand long spells of drought. Kennedia prostrate: Low-growing plant suitable as ground cover or hanging plant. Propagation is easy from seed. 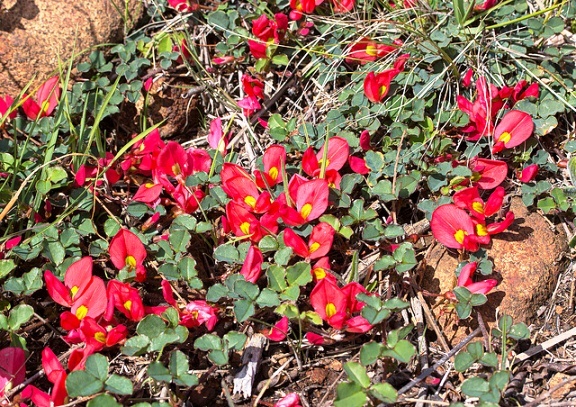 The plant produces showy frequent red flowers when grown under bright sunlight. Kennedia rubicunda: Twining creeper that grows up to 5 meters and produces showy red flowers in spring and summer.